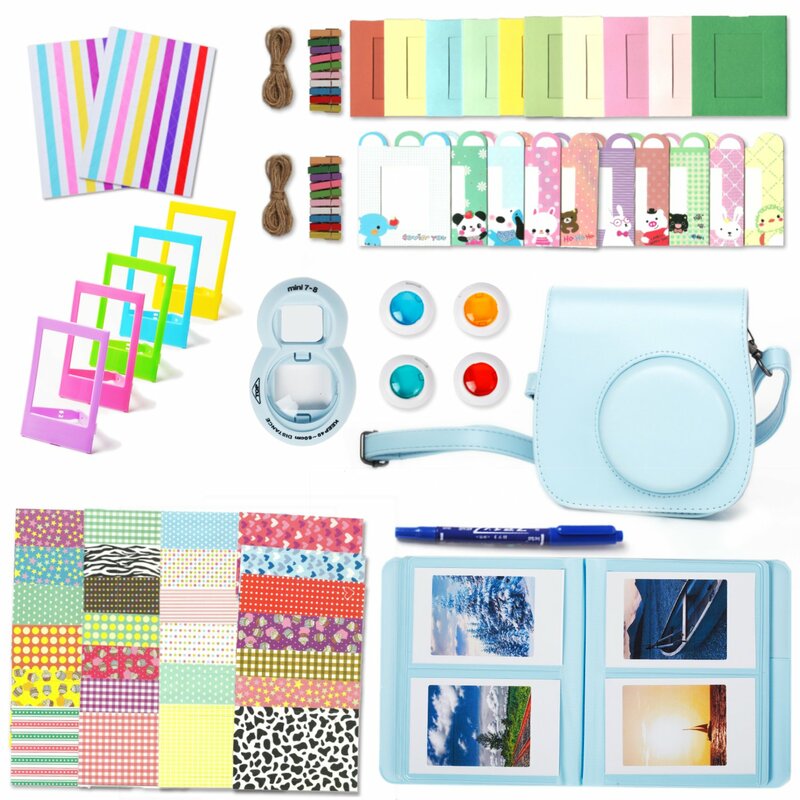 Home › Fujifilm Instax Mini 8 Accessories Leebotree 10 In 1 Camera Bundles Set Inclu..
Fujifilm Instax Mini 8 Accessories Leebotree 10 In 1 Camera Bundles Set Inclu..
Get Leebotree camera set to create your own custom memories Package included: 1 X Instax Mini 8 Camera case with adjustable strap and pocket The synthetic leather case is soft and smooth. The inside of the case is even softer with a fiber material that is sure to keep your camera and lenses scratch-free. 1 X Book Album(64 Pockets) It is perfect for your instant mini photos and makes the perfect place to start your collection. 1 x Mini 8 close-up lens(self-portrait mirror) It has a mirror that's perfect for taking photographs for you and your friends. 1 X Colored Lens Set (4 Colors, Yellow/Blue/Red/Green) They are for close up pictures and can make your photos outstanding 1 X Photo frame (5 different colors) They're plastic and the perfect size for the Instax Mini 8 Photographs. They can also stand on your desk. 2 x colorful wall decor hanging frame, 20 pcs 10pcs rectangle colorful wall decor hanging frame, 10pcs animal ears colorful wall decor hanging frame. You can fill them up and attach them to the line! It is a cool way to hang your pictures up. 2 x border stickers, 40 pcs The stickers can jazz your pictures up. You just peel off the sticker and place it on your picture! Not only do you save money but you also get to make your photo more unique! 2 x Corner stickers They can decorate and protect your beloved diary, notebook and personal space by mounting your favorite photos on any surface. 1 x Card Mark Pen You can write on your pictures, postcards or letters to make your pictures more funny and memorable.